This will be a tough game for Stanford even if Bryce Love does play. If he can’t go, then the task is almost impossible for the Cardinal. We saw last week how the offense bogged down without the electric Heisman candidate to bail them out. Keller Chryst took a huge step back from his near perfect game against Oregon. Some of his throws were just downright terrible, falling feet behind his intended receiver. If that Keller Chryst shows up again on Saturday, then hopefully David Shaw will give KJ Costello a chance. Shaw says there is competition at the quarterback position this week. Whoever plays the majority of the snaps against Washington State will need to be sharp to have any chance to beat the Cougars. If Love can play, he will find a fairly benign rush defense on the other side of the ball. Washington State gave up 310 yards on the ground to Arizona last week. On offense, the Cougars passed for over 600 yards but threw four interceptions in their 58-37 loss. The Cardinal secondary will be without the services of senior cornerback Alijah Holder for the rest of the season, but Quenton Meeks and Justin Reid should still have a chance to create some turnovers in the pass game. The key to the game for the Cardinal defense will be shutting down the Cougar run game and forcing WSU to be one-dimensional. The cold weather and snow should hold both pass games in check. 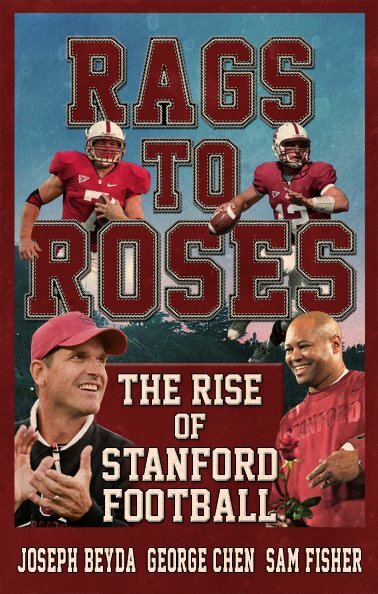 In that case, Stanford’s run game will have the advantage and carry the Cardinal to a huge Pac-12 North win. As David Shaw said last week, it’s really difficult to win conference games on the road late in the season, and Washington State will be hungry to make a statement in front of their home crowd after the disappointments of the last few weeks. The Cardinal defense has been fairly stout recently, but Washington State presents a unique challenge with their offense. Stanford didn’t respond well to it last season, and this season, against a somewhat comparable passing attack in UCLA, they allowed 34 points and 480 passing yards. Also, let’s not forget that despite a couple of aberrations against Cal and Arizona, the Cougars defense is one of the best in the conference. If Bryce Love is healthy, he’ll make big plays like always, but can he outrun the Cougars enough times to outscore Mike Leach’s offense? I’m not so sure. This is a tough game to predict because many new factors are coming into play, from the weather to Bryce Love’s health to Alijah Holder’s absence, and I’m mostly just excited to see it all play out Saturday. I think it will be a close one until the very end, when the Cougars pull away with a Luke Falk touchdown pass. Let me preface this by saying that this prediction assumes that Bryce Love will be good-to-go by Saturday, and is also partially created by loyalty keeping me from predicting a Stanford loss. This game is going to be tough for Stanford; Washington State has not lost a home game this season. Furthermore, while I have faith in the depth of our secondary, Luke Falk is a great quarterback who can take advantage of any weaknesses in our defense. However, the Cougars defense has been variable this year, and last week we saw them get run over by Arizona. If Bryce Love is healthy, he’ll be able to exploit the holes in their defense to make some big plays. If he’s not back, my hope lies in the weather conditions, with snow limiting Falk’s pass attack and forcing a lower-scoring ground-based game. Of course, it could always swing the other way, with snow messing up the defense’s footing, allowing for more time in the pocket and bigger passing plays. Either way, I’m excited to see how things end up on Saturday.